The finest chamomile flowers in the world come from the Nile River Valley of Egypt. Considered a remedy for all ills by the ancient Egyptians, this golden herb remains a modern favorite to promote calm and relieve anxiety. When steeped, these fragrant blossoms smell of freshly cut apples and produce a rich, golden cup with superior flavor. This caffeine free herbal infusion is delicious served with honey. Chamomile grows throughout the world. The blossoms are the part of the plant that is used. Chamomile is also known as camomile. Other names for this herb include garden chamomile, low chamomile, Roman chamomile and whig plant. Chamomile is used both internally, most often taken as a tea, and externally. Used as a tea, chamomile is known to relax smooth muscle tissue. In this way, it is useful in such things as calming a nervous stomach and relieving menstrual cramps. 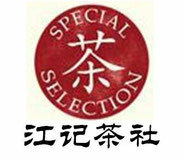 The tea is often used to promote relaxation and alleviate stress. 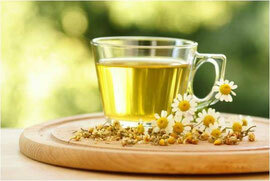 External uses of chamomile include reducing inflammation of the skin, soothing hemorrhoids, and relieving toothache. The herb is also added to shampoos to brighten blond hair. Combined with bittersweet, chamomile may be used as an ointment. In this form, it can be rubbed on the skin and used to treat bruises, callouses, corns and sprains. 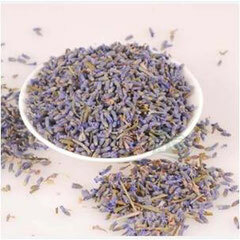 Dried lavender flowers can be used to make teas or liquid extracts that can be taken by mouth. Dry petals and leaves in a 150 degree oven until all moisture is gone. Store in an air-tight container until ready to make tea. 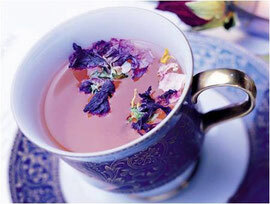 Bring water to a boil, add violet leaves and petals, and steep for 10 minutes. Sweeten as desired with violet honey. The Marigold has pale green leaves and bright yellow or orange flowers and is a common kitchen plant. Marigold flower petals are edible and used to add beauty and color to salads as well as fed to chickens to give the yolks of their eggs a darker yellow color. The flower is harvested and used for its medicinal properties both internally as well as externally. 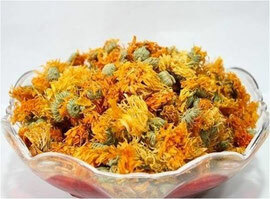 .Marigold is used topically in an ointment or salve to treat burns, bruises and cuts and fight infections that may occur with these conditions. Marigold cream is used to treat hemorrhoids as well as on infant bums to help fight diaper rash. Marigold tea is thought to aid in stomach upset and ulcers and help relieve menstrual cramps. Dried Marigold flowers are often added to dream pillows to help bring prophetic dreams and increase luck. Caution should be taken if you are allergic to Daisies or Ragweed. Marigold is thought to be a very safe herb. 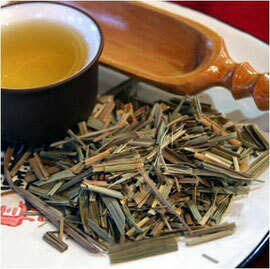 Rosemary tea has been used for hundreds of years to improve memory. Rosemary tea, made of the plant's leaf, contains rosmarinic acid and many other antioxidants that have been reported to prevent the breakdown of acetylcholine, a neurotransmitter that preserves brain tissues. 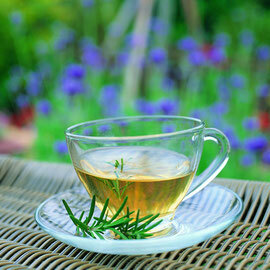 Drinking rosemary tea benefits the digestive tract and can help those suffering from irritable bowel syndrome. It stimulates the release of bile to help digest fats, thus relieving intestinal cramps and spasms. It also helps in relieving indigestion, flatulence，and bloating. Other benefits of drinking rosemary tea include helping in the following:menstrual cramps ；amenorrhea ；arthritis ；headaches ；fever. Hibiscus tea can be drunk hot or cold. As iced tea, the infusion is known to satiate thirst quite effectively. It is often recommended as an alternative to artificially made commercial "sport drinks" that are marketed to physically active individuals. It has properties that prevents the oxidation of low-density lipoproteins; a substance in our blood that if increased beyond normal quantities may cause high blood pressure . Some tea drinkers use hibiscus tea to aid in weight loss. 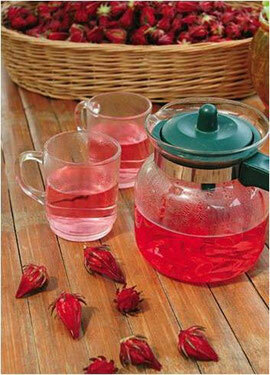 hibiscus tea is often used as a supplement to help treat coughs and colds. Because of its cooling effect, it is especially effective in reducing the discomfort of fevers that may accompany such ailments. Besides containing a significant amount of ascorbic acid, it can be said that hibiscus tea can serve as an excellent food supplement and an aid to boost the body's immune system.